The Russell Stoneham Memorial Garden and Churchyard was consecrated by Rt Revd James Langstaff, Bishop of Rochester on 27th April 2012. The new garden and churchyard are adjacent to the Crayford Living Churchyard. The memorial garden has numerous plots and a variety of rose bushes. For information on the internment of ashes in the memorial garden or a burial please contact the church office. 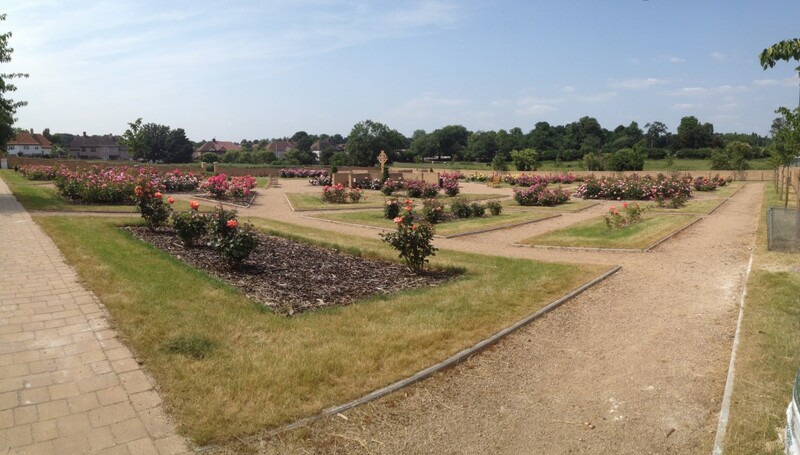 Please click Map of Russell Stoneham Memorial Garden to view the layout. 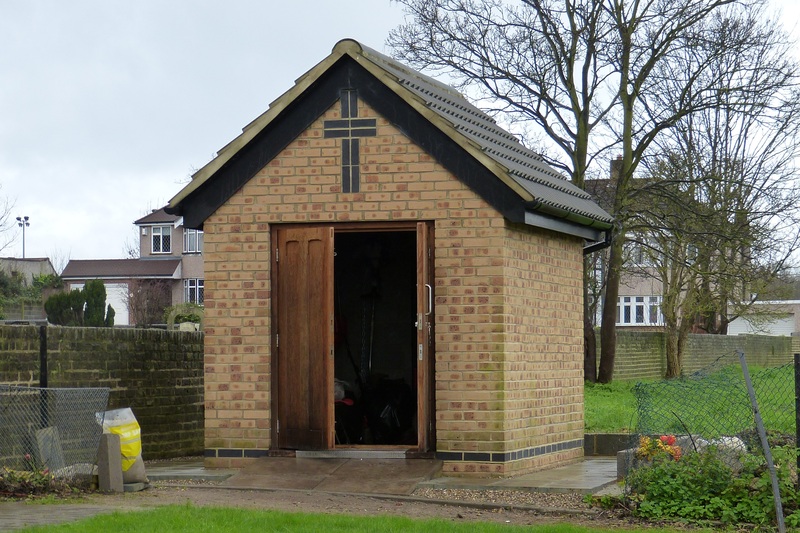 New Shed in the Russell Stoneham Churchyard. Photo courtesy of Ursula Keene.